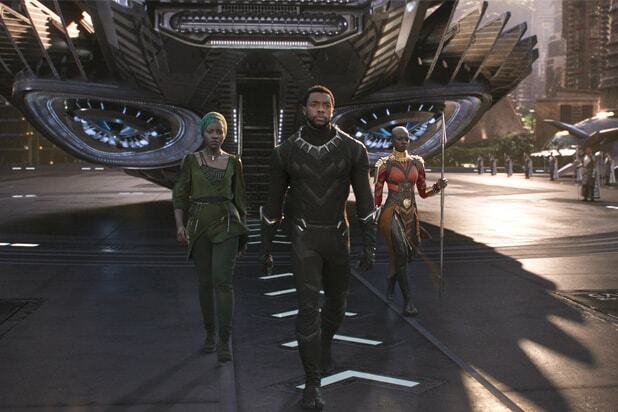 Marvel’s “Black Panther” is outpacing all superhero movies in Fandango’s advance ticket sales, even surpassing 2016’s “Batman v Superman: Dawn of Justice,” the mobile ticketing company announced Wednesday. The film has received buzz from fans since the world premiere and first screenings on Monday night — as of Wednesday morning, it is still the #1 daily ticket-seller on Fandango although we are still 16 days away from opening day. According to a survey of 1,000 moviegoers, 93 percent said they couldn’t wait to see Chadwick Boseman in his solo film after seeing him in “Captain America: Civil War.” 86 percent are excited to the film’s all-female warriors, while 97 percent are looking forward to a different kind of superhero movie. 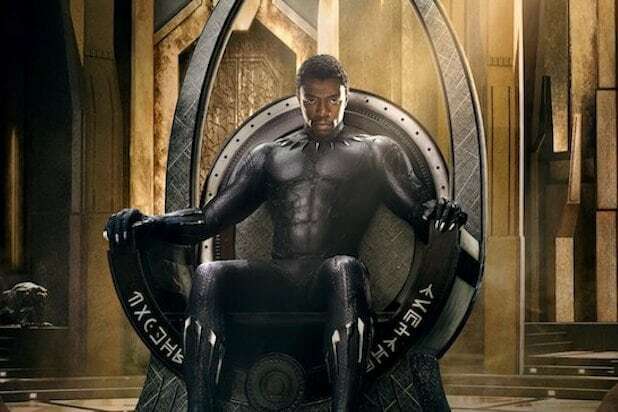 Boseman reprises his role as T’Challa/Black Panther after first starring in the role in “Civil War.” Michael B. Jordan, Lupita Nyong’o, Danai Gurira, Martin Freeman, Daniel Kaluuya, Letitia Wright, Winston Duke, Angela Bassett, Forest Whitaker and Andy Serkis also star. “Black Panther” will hit theaters on Feb. 16, 2018. We're still far off from the release of Marvel's "Black Panther," but here's what we know about the film starring Chadwick Boseman so far. "Black Panther" will be about T'Challa (Chadwick Boseman), who must ascend to the throne of Wakanda when his father is assassinated. The movie picks up after the events in "Captain America: Civil War," in which Boseman made his first appearance as Black Panther. "Black Panther" will be released on February 16, 2018. Ryan Coogler is directing. Zuri (played by Forest Whitaker) is a warrior ally of T'Challa's and was a trusted advisor to the king before he was assassinated. Also returning to Marvel Cinematic Universe is Everett Ross, played by Martin Freeman. Ross had a role in "Captain America: Civil War." He's a the CIA director who worked to get the Avengers to sign onto the Sokovia Accords to limit their actions. At the end of that movie, he took custody of the villain Helmut Zemo (Daniel Brühl) after the Black Panther stopped him from killing himself. Wakanda is also pretty technologically advanced, despite what the world thinks of it. For one thing, it's the only place on Earth where Vibranium is found -- the indestructible stuff that Captain America's shield is made of, and gives Black Panther's suit its bulletproof properties. Michael B. Jordan plays Erik Killmonger -- who became a dissident and then an exile -- in the film. According to Entertainment Weekly, Jordan's character is one of the antagonists of the film. Angela Bassett plays Ramonda, queen of Wakanda and T'Challa's mother. Danai Gurira, Florence Kasumba and Lupita Nyong'o are part of the Dora Milaje, a combination of Special Forces and the Secret Service, according to Entertainment Weekly. According to Entertainment Weekly, there will be a big action scene between Nyong'o, Boseman, Gurira and Serkis in a super high-end underground casino in South Korea, reminiscent of "Casino Royale." Executive producer Nate Moore told EW that the film pays tribute to two cinematic classics: James Bond and "The Godfather." EW reported that Nyong'o is not only Wakanda's undercover operative Nakia, but also a former lover of T'Challa's. "Get Out" star Daniel Kaluuya plays T'Challa's best friend, who is the head of security for the Border Tribe, executive producer Nate Moore told EW. Black Panther's skills include enhanced speed, strength, night vision and healing ability. He has incredible martial arts skills and also has sharp retractable claws. Winston Duke plays M'Baku, also known as Man-Ape, one of the villains T'Challa will most probably fight in the film.